What’s Worse: $400 Million for Iran or $4 Billion for Iran’s Terror-Sponsoring Ally On Our Doorstep? Amazingly the U.S. never delivered the arms to the Shah’s “successors,” who still claim rightful ownership of U.S. jets, tanks, etc. The recently smuggled $400 million, as rationalized by Obama and some in the media, is simply a way of making good on that transaction-- a harmless money-back policy, similar to Wal-Mart’s. Above I wrote “amazingly” because delivery of sophisticated U.S. Military equipment to Islamic maniacs seems like business-as-usual for Democratic Presidents lately. Just ask the jumble of Islamic maniacs shooting, blasting and hacking each other to pieces in Syria lately. If delivering (a probably unconstitutional) $400 million to terror-sponsoring, hostage-taking Iran strikes many of us as foolish—or shameful, outrageous and dangerous-- what about $4 billion (annually) to Iran’s closest ally in the Western Hemisphere: terror-sponsoring Cuba? Much of the $4 billion in U.S. dollars annually to the Castro-Family-Crime-Syndicate (euphemized as “Cuba” by the media and Obama’s State Dept. ), also results from Obama’s executive orders (opening travel and remittance loopholes in the so-called embargo)—which is to say: it’s also probably unconstitutional. Worse still, this Obama-enabled loot enriches the Castro family at the expense of the U.S. taxpayer. Not that anyone relying on the mainstream media or Obama spokespersons would have the slightest clue about these scandalous and well-guarded transactions that have the Castro family and their military cronies guffawing all the way to (Swiss and Panamanian) banks. This type enters the U.S. via comfy commercial flight and sprints from the airport terminal to the nearest welfare office. Shortly he’s sending a portion of his U.S. refugee welfare benefits back to his family in Cuba, where other communist apparatchiks promptly skim off 20 percent in various “transaction fees” and deposit them into communist regime coffers. And some say communists are “inefficient?” HAH! Some Cuba-watchers even report that the ultra-efficient (in fleecing Americans) Cuban regime even gives preparatory classes to its snickering “refugee” visa applicants. These intensive training seminars focus on how to quickly fill out those pesky welfare forms those fussbucket Yankee Imperialists make you fill out before forking over the $1200 a month in assorted Yankee Imperialist welfare benefits. (That’s over twenty times a Cuban’s monthly salary, by the way—but still! Geesh! All that paperwork!) Some say these classes even feature wall-maps showing where the Yankee Imperialist welfare offices are located in the Miami area. And some say communists are “bunglers.” HAH! After completing all the pesky paperwork in Miami some of these “refugees” even return to Cuba, where they continue receiving their monthly U.S. welfare checks sent by their Miami relatives. Considering the cost of living in Stalinist Cuba (where the average salary is $27 a month) these “refugees” eke out a lifestyle about like Tony Montana eked out in south Florida. So Tom Petty was right after all: “Don’t Have to Live like a Refugee!” And some say communists have no sense of humor? HAH! For many recent “refugees” sent to us special-delivery by Castro’s apparatchiks striving for that “American Dream” ain’t what it used to be. According to an investigation by the Sun-Sentinel: “In Miami-Dade County, where 24 percent of the population was born in Cuba, immigrants from the island account for 73 percent of arrests for health care fraud; 72 percent of arrests for cargo theft; 59 percent of arrests for marijuana trafficking; and half the arrests for credit-card and insurance fraud. Among Cuban-born defendants sentenced to federal prison for these crimes, two out of three are still Cuban citizens. So more than pirates, modern Cuban criminals operate as privateers: i.e. they have a commission from Castro’s Stalinist/kleptocratic regime, who gets a cut of their booty, at the expense of the U.S. taxpayer. 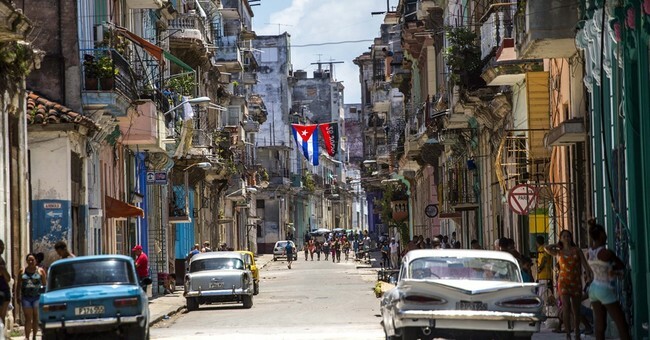 Anybody who knows anything about the Castro family—especially their expertise on U.S. politics--knows that helping fill-up a crucial swing-state (Florida) with Democratic voters is hardly an afterthought for the communist apparatchiks when issuing their “refugee” visas in Havana. Thanks to this well-guarded racket, the term “Miami-Cuban” no longer denotes what it did in the 60’s and 70’s (“rabid, right-wing Republican’).